The inherent bias towards Tory seats in our voting system is set to get worse, and the arguments for reforming it have never been stronger, finds a new report out today. 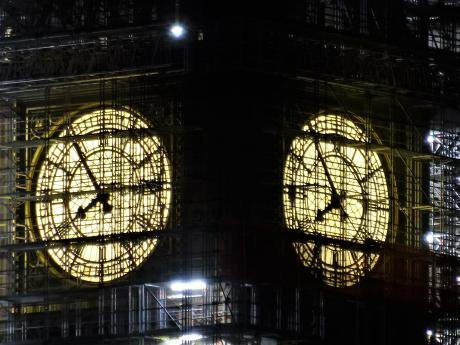 Image: Big Ben under scaffolding. David Holt/Flickr/Creative Commons. The last time we had a choice about electoral systems – the Alternative Vote referendum in 2011 – Labour was undecided, and most trade unions opposed reform. 2011 seems like a different world now. Since then, we’ve witnessed three ‘weak and wobbly’ elections – none of which have delivered on First Past the Post’s central promise. The way our politics works has changed almost beyond recognition – with the shift in Labour just one sign of that. Trade unions in Scotland (the STUC) have now unanimously agreed that the balance has shifted when it comes to reform: the burden of proof now falls upon those that want to keep the status quo. For backers of Proportional Representation (PR) – this shift is significant. It was trade unions getting behind electoral reform that saw Scotland switch to Holyrood’s proportional system in the 1990s. But for Labour supporters, there’s also a growing realisation that something has changed over the past few elections. An electoral system which once benefited Labour has become rigged in the opposite direction. Assuming the contest was to end in a draw - i.e. the Conservatives and Labour won the same number of votes in a General Election today – they would not be rewarded with the same number of seats in the House of Commons. The Conservatives would be the largest party by 12 seats – an issue known as ‘electoral bias’. Labour would need to do 0.8% better than the Conservatives to become the largest party. But to win a majority, the figures are more stark: Labour will need a lead of 7.4%, compared to just 3.4% for the Conservatives. The reason for this absurd bias in UK General Elections is because of the archaic voting system being used, First-Past-The-Post. At a constituency level it works on a 'winner-takes-all' basis meaning votes for 'losers' - and votes for the winner which exceed those which were necessary to secure victory – are worthless. They are wasted. Labour's vote spread is poor. In recent elections the party has been stacking up impenetrable majorities in its safe seats, such as 77.1% in Liverpool Walton last year. While this looks good on paper, the nature of the Westminster system means 32,550 Labour votes counted for nothing when it came to the allocation of seats in the Commons. There are other factors at play which contribute to the bias in favour of the Conservatives – but they are all caused by the interaction between the spatial spread of votes and the electoral system. What is most concerning for Labour, perhaps, is that the bias is set to get even more marked if proposed changes to constituency boundaries are introduced. Analysis has shown that the boundary changes will leave the Tories needing a lead of only 1.6% in votes to win a majority in the Commons while Labour would need a lead of 8.2%. Labour will need to be 3.9% ahead just to become the largest party, even though seats will be more equally sized – largely due to the ‘ineffective’ spatial spread of Labour’s vote already discussed. This bias, set out in detail in a report published today by Politics for the Many, is one of several key reasons why a change in the voting system is desperately required to level the playing field. For Trade Unionists across the United Kingdom, in all unions, the starting point in this debate should be to ask: "has First Past the Post System improved and protected the Trade Union rights over the past four decades or have we seen the steady eroding of Trade Union rights?" The harsh reality is that any gains from a Labour Government are soon reversed, and worse, by an incoming Conservative Government that is inevitably more right wing that what went before and inevitably more emboldened to take our rights away. The Trade Union Act alone is the most compelling evidence as to how this voting system has acted only to damage Trade Union Rights. Introducing an element of proportional representation would go a long way to fixing the rigged system which is holding back progress in Britain. The evidence shows that counties with such a voting system tend to elect more progressive governments than countries with majoritarian electoral systems such as First-Past-The-Post. Instead, Westminster’s system is skewing our economy – with resources disproportionally handed to a handful of swing seats, leaving large parts of the country to wither on the vine. It is time for both Labour and unions to build a ‘politics for the many’. The Scottish TUC are leading the debate, and others may soon follow. Because bringing an end to the archaic Westminster system is no longer a democratic nicety for progressives – it is a necessity. And it is an opportunity to move the ‘kinder, gentler’ politics from rhetoric to reality.